Dynamic microphones are popular because they are usually comparatively inexpensive, durable, and work very well on a number of sound sources, such as the human voice, electric guitar cabinets, and close miked drums, just to name a few. 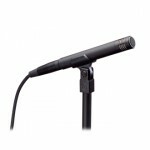 Dynamics are a great choice for a handheld vocal microphone. They are very affordable, comparatively speaking; something always on the minds of church staff. Dynamics can usually take the abuse of being dropped on the stage–numerous times–and continue to work Sunday after Sunday. This is especially important if they will be used by our youngest generation! The Shure SM-58 (shown at right) is an example of a great, all-around, handheld vocal microphone. Another application where a dynamic is just hard to beat (no pun intended) is on an acoustic drum kit, specifically the tom-toms, the kick drum, and the snare drum. An SM-57 would be an ideal choice for all three, but especially on the snare drum. For tom-toms, the Sennheiser MD-421, Shure SM-57, or Audix D-2 or D-4 would be great choices. And for the kick drum, my personal favorite is the Shure Beta-52, but the AKG D-112, EV RE-20, and some other choices are also at home on the kick. By their nature, most dynamic microphones are directional, simply meaning they tend to only pickup sound in front of them. Sound coming from the rear or side of the microphone will be heard, but at a much lower level and, possibly, with a degraded sound quality. This is usually an advantage for the dynamic, not a curse. It allows them to pick up the intended sound source while rejecting sound coming from other directions that is not desired. The ability of a particular microphone to reject unwanted sound is usually graphed in the manufacturer’s specification sheet as a polar chart. Condenser microphones are normally chosen because they can be much smaller than dynamics, and, on certain sources, they can capture more detail in the sound. They also tend to have a slightly different sonic signature. Condenser microphones usually contain internal circuitry and require power for them to work, either internally in the form of batteries installed inside the microphone, or externally via a DC voltage called phantom power supplied to the microphone from the audio mixer through the existing microphone cable. Phantom power is, by far, the most common method, since it eliminates the problems associated with batteries: short battery life, battery leakage, etc. Also, most all audio mixers have phantom power capability built-in. One of the most common places to certainly see a condenser microphone in a church is in the choir loft. These microphones usually need to be suspended from the ceiling, and so they must be small, lightweight, and inconspicuous. They are usually directional microphones, as well, so only the choir will be picked up by the microphones, as opposed to the stage noise or other unwanted sound. The Audio-Technica U853A is a great example. Condenser microphones are also the choice for many sound techs miking instruments used in a live setting, such as grand piano, acoustic guitar, and strings or woodwinds, among others. All of these instruments are characterized by minute details in the timbre, and the condenser microphone usually excels at picking up these nuances. 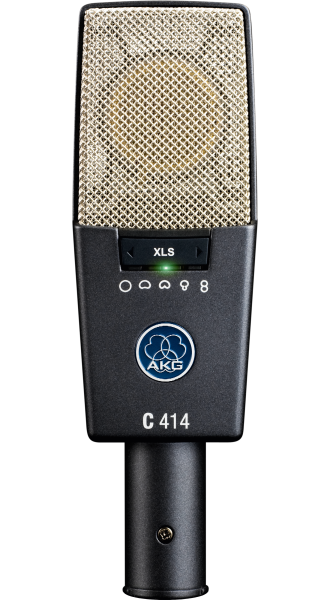 The AKG C-414 has been a top choice for grand piano over the years, but many other condenser microphones would work well on grand piano, too. I personally like the Audio-Technica AT-4041 (shown at right) or the Shure SM-81, since they are high quality, small, and easy to place. A pair of them are ideal, but a single microphone can be sufficient if some experimentation is implemented to find where you get a balanced sound from the piano and pianist. The goal is for the microphone to pick up all of the piano’s notes with an overall equal volume and tonality. You don’t want the bass octave to overpower the treble octave, or vice-versa. The acoustic guitar is another application where a good condenser mic is ideal. Now, for some church guitarists, this may not be the best of ideas, since the guitarist may be standing and leading worship behind a vocal mic. But, from the perspective of a great acoustic sound, mic’ing the guitar is always preferred, if done right. Again, the Audio-Technica AT-4041 or Shure SM-81 work well for this application, as well as hundreds of other condenser microphones. A single microphone can be sufficient if you experiment with the mic placement for the guitar and guitarist. I would start at placing the microphone over the 24th fret, or near the end of the fretboard, about 6-12″ away, but pointed directly toward the sound hole. This places the mic in a good location, while keeping it away from the player’s hands. An alternative location would be over the bridge of the guitar, again pointing toward the sound hole, but I’ve found this to work best as a second microphone’s location, not replacing the primary front position. But, experiment with different areas around the guitar and see what you come up with! Each guitar and guitarist may call for different mic positions. Ribbon microphones are not very common in the typical church’s microphone selection, but you may find the occasional ribbon mic on a guitar cabinet or brass instrument. Ribbons are quite popular in the recording studio. But, many ribbons are much more fragile than dynamics or condensers, hence the primary reason they are not used as much in live sound. They are also comparatively quite expensive. One application that normally calls for a nice ribbon is a guitar amplifier speaker cabinet. The Royer R-121 is a popular ribbon microphone used for that very purpose. But, depending on your sound system and other factors, the cost of the ribbon may not be justified over a good dynamic mic, such as the SM-57 or SM-7B. In other words, you may not get to hear the benefits of the ribbon if your sound system and the room’s acoustics are hampering the overall sound. My advice? Stick with a good dynamic on the electric guitar cabinet and save the ribbon for the studio recording. Put the money saved toward improving the church’s acoustics or sound system, first! Ribbons also sound full and vibrant on brass instruments, such as trumpets, trombones, and saxophones. The AEA R84 is a popular choice, but some of the classic RCA ribbons are contenders, as well. Ribbons tend to translate the feeling of a well-played brass instrument much better than alternative microphones. But, a great dynamic can sound good, as well, especially in a live situation. The problem with using most ribbon microphones in a live venue is the natural directionality of the microphone, which is figure-8. 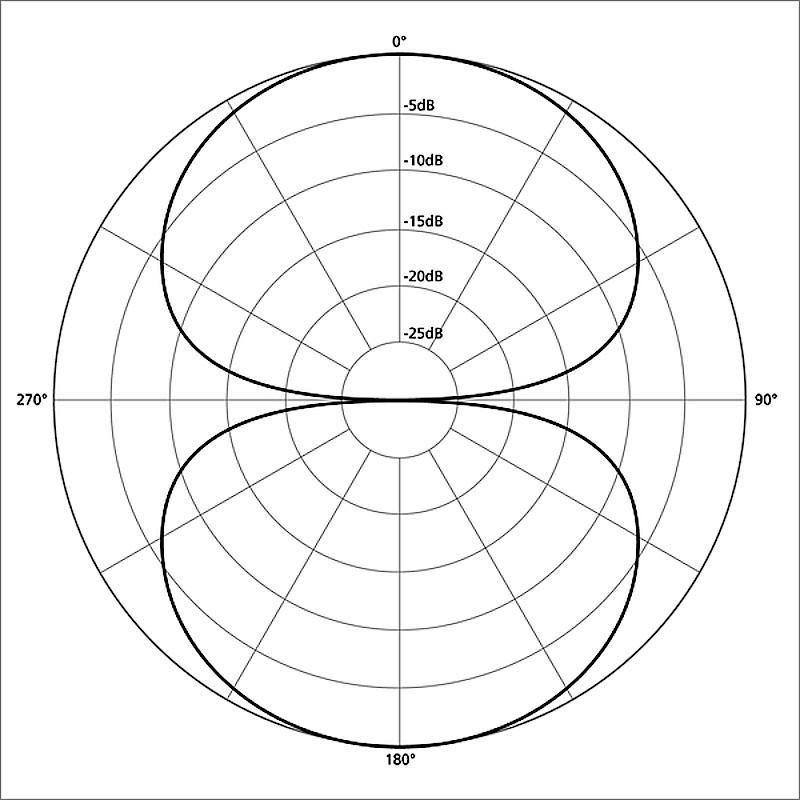 This means the microphone picks up equally well directly in front and behind the mic (Looking at the polar pattern reveals where figure-8 came from). This can create unwanted feedback or the pickup of unwanted sound with some mic placements. Piezo microphones may be found on certain piano pickup systems and acoustic drum pickups. These mics are also sometimes referred to as contact microphones. Some guitar or instrument tuners may use a piezo microphone to detect the vibrations from the instrument in calculating the note tunings. Other than the piano pickup systems, these microphones are usually not intended to connect directly into an audio mixer. In my experience, even the piezo piano pickups sound inferior to a properly selected and placed dynamic or condenser microphone on or in the piano. My advice? Simple: Do not use these “pickup systems” that attach to the soundboard on your piano. Use a quality dynamic or condenser microphone, instead. 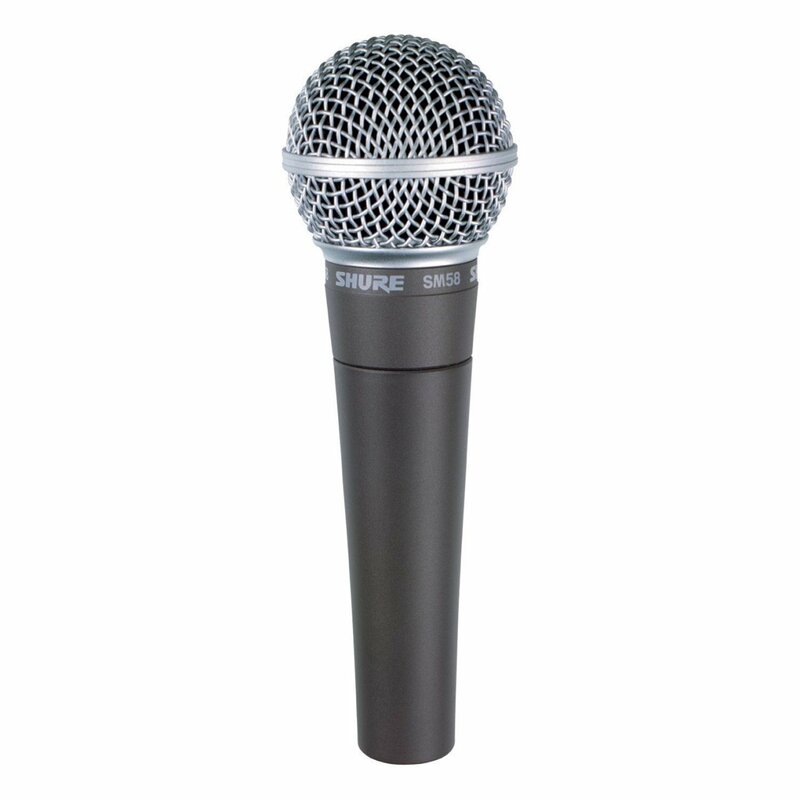 Wireless microphones are not necessarily a different type of microphone, since the actual microphone, itself, is usually either a dynamic or condenser. The difference is the interface of the microphone to the audio mixer. The concept is quite simple: A dynamic or condenser microphone is interfaced with a built-in radio transmitter that transmits the audio from the mic element to a radio receiver, which then sends that audio to the audio mixer. The result is the elimination of the microphone cable, freeing the microphone to be moved around within a certain distance from its receiver. There are many things to discuss regarding wireless microphones, so I will have a future article discussing them in more detail. Microphone selection and placement can be a deep subject, but I’ve tried to give you some basics within this article. Regardless of what microphone you have or choose to use, it’s important to know the microphone and understand its particular strengths and weaknesses. That, in itself, may be more important than actually what mic you have. 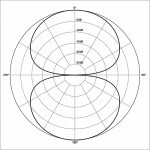 Microphones can have one of several different polar patterns, and that determines where and how you can use that mic. In addition, some microphones may have selectable polar patterns, high-pass filters (to reduce stage rumble, for example), and attenuation switches, all designed to help the sound technician fit the microphone to the need at hand. 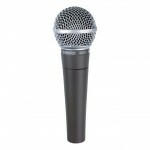 Knowing the mic and its characteristics will allow you to better plan for its use and placement in certain scenarios. Spend some time reading through the user manuals and/or specification sheets for the microphones you currently have. You may discover why you are having feedback problems with a particular mic, or why a certain mic doesn’t sound too good on your vocal ensemble. In the next article, I will continue to talk about interfacing audio into the audio mixer by tackling the very important subject of cabling, including balanced versus unbalanced cables, XLR microphone cables, 1/4″ instrument cables, plus much more. Note: There will be future articles revisiting the subject of microphones and their use when we begin talking about the art (and science) of mixing a live service. So, stay tuned!